Urrugne, or Urruña in Basque, a favourite stop off for lovers of unique landscapes and those who like to get away from it all. 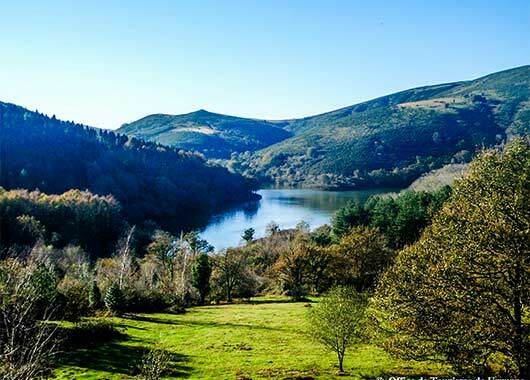 If you want to spend your next holidays in the Basque Country, isolated from the big seaside resorts like Biarritz, and to enjoy the nature and the seaside, the camping Suhiberry opens its doors. 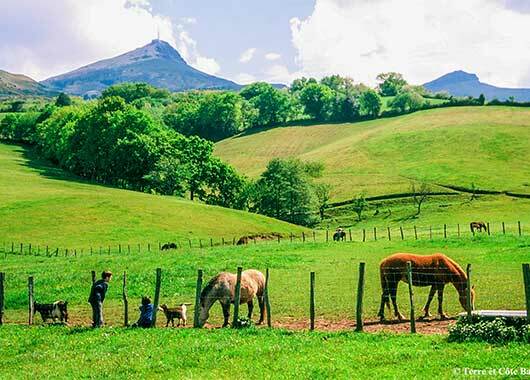 Located in Urrugne, between Hendaye and Saint-Jean-de-Luz, the campsite welcomes you for an unforgettable holiday, close to Ciboure and Socoa. We propose hiring of pitches camping-caravanning, and mobile homes any comfort. The campers will be able to pitch their tent in spacious grounds, delimited by hedges for a space of life more than pleasant, in a spirit camping. The rental of mobile home remains the perfect alternative for couples or groups of people looking for comfort. Our mobile homes are fully equipped and have a terrace to fully enjoy your days and evenings summer. 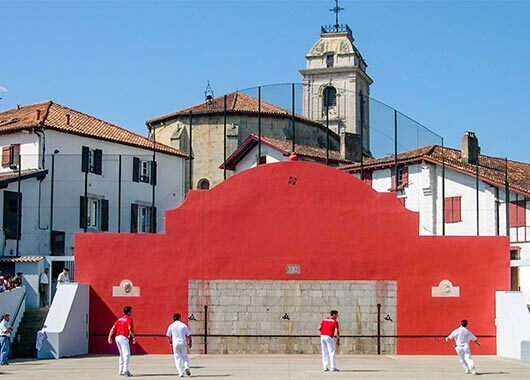 Families will be able to stay in camping in the Basque Country in peace, and will be disoriented, the surface of our accommodations and the environment of the camping will make of their holidays an unforgettable memory! 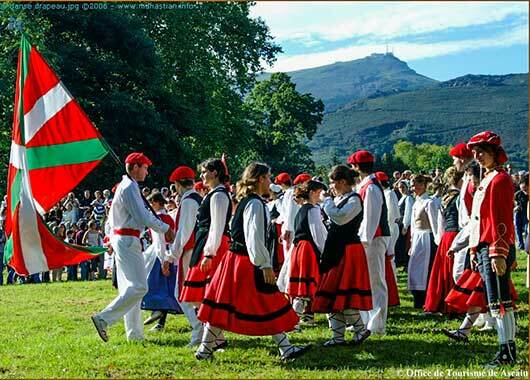 Urrugne, is an authentic Basque village of nearly 5000 hectares which offers you the opportunity for many hikes and walks. So your sports shoes and start walking Camping SUHIBERRY! You can take the coastal footpath on the Basque corniche of Urrugne overlooking the ocean. Going south from the lighthouse of Socoa, your eyes will feast of the view of the Pyrenees at the same time as the waves breaking on high cliffs wild, a panorama not to be missed during your Basque Country vacation. Offshore, you may be privileged to see the famous Belharra wave, one of the most beautiful surf spots in the world. 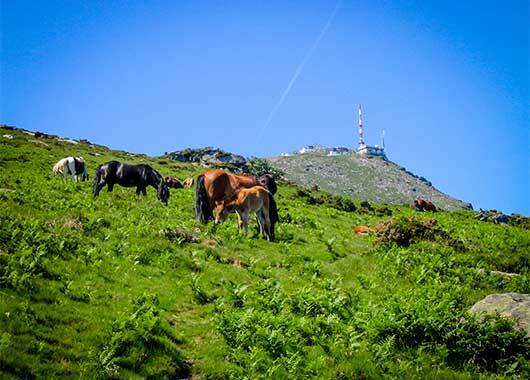 For lovers of hiking in the mountains, many starting points exist near the Pays Basque Suhiberry camping, especially for the Rhune by the district of Olhette, mythical top of the Basque Country, 905m above sea level. 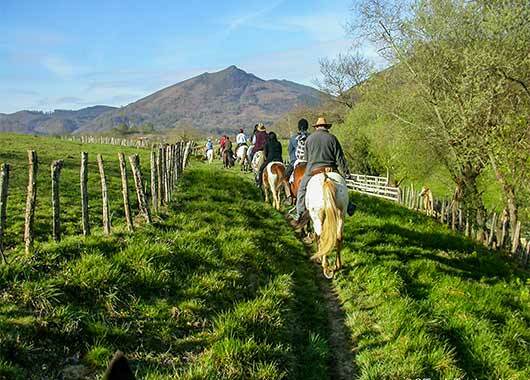 In addition to the exceptional panorama 360 ° on the Atlantic coast and the Pyrenees, you will meet manex sheep, vultures tawny and our famous “pottok”, robust little Basque horses that live in complete freedom. nec at id, ut sed ut elit.